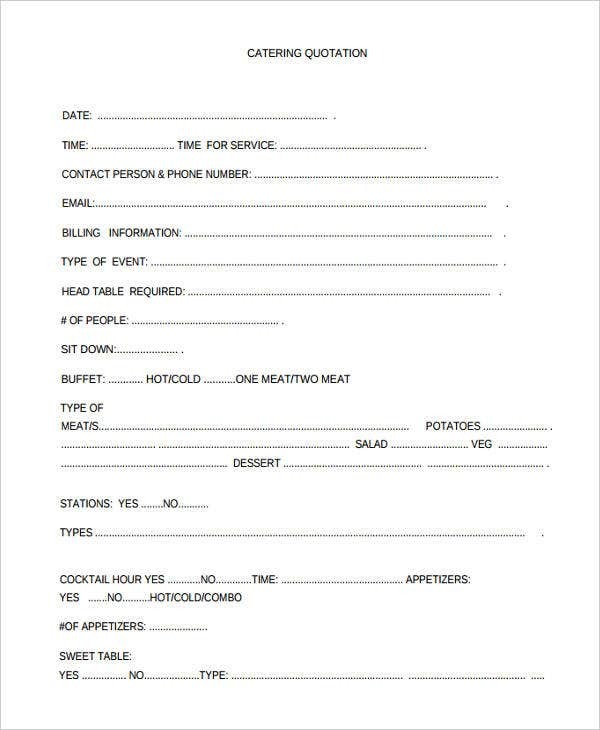 Catering quotation templates are essential to every catering business. 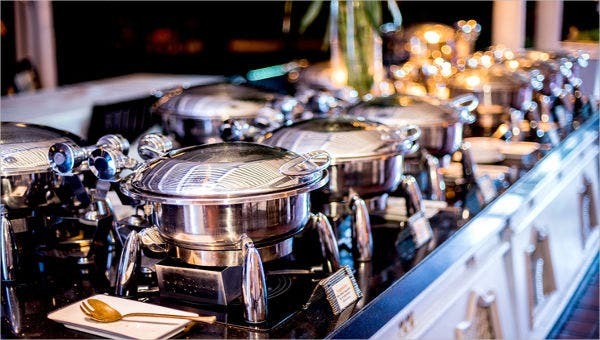 A single catering quotation format may differ from another but, generally, the similarity of all quotation uses boils down to one purpose which is to quote prices be it for the service or the product. There is always a need to secure a catering quotation template to be able to track daily catering transactions accurately. Explore this page and look for appropriate templates that best deliver the type of services you render within a catering business. Never miss important information on your catering quotations and make use of catering quotation templates as the perfect guide. Catering Business Identification – Preferably a catering business logo or anything that would identify the catering business should be written on a catering quotation. Different quotation templates beyond catering businesses observe the same thing as well. Product or Service Specification – Catering services could include more than just the food. Every catering quotation needs to provide for product or service specifications for easier comprehension for whoever reads and refers to the quotation template. 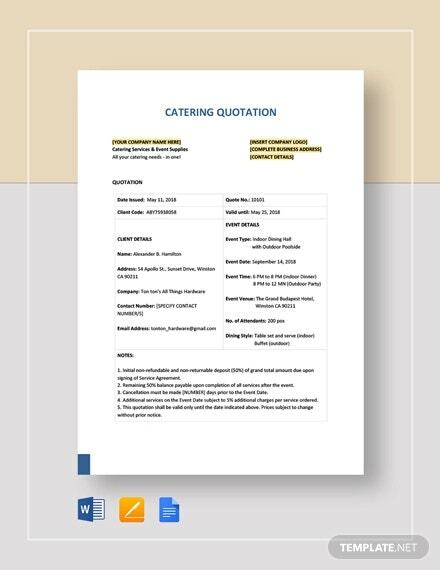 Catering quote templates require such specification to avoid confusion with the quotation content. 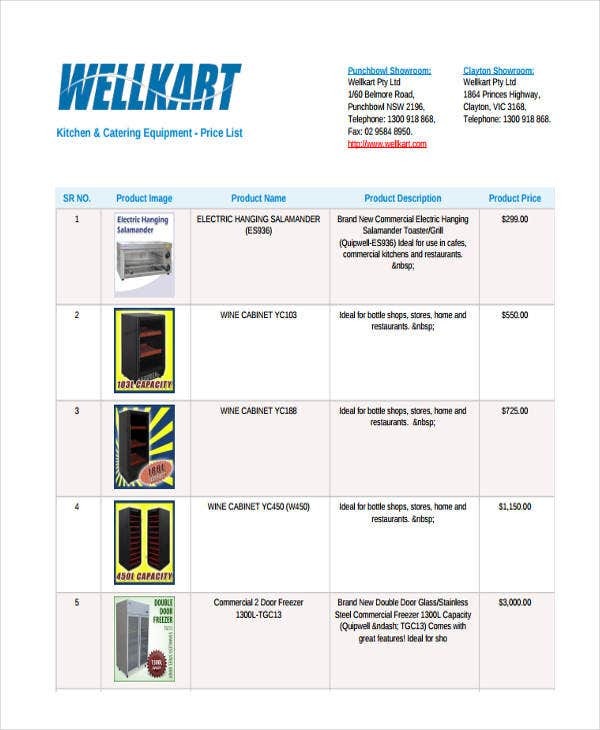 Quantity – Quantity specification is just as important as actual product or service codes. Specified quantity in catering quotations makes it easier to identify what each client needs exactly. Service Price – Lastly, the service price is also an essential element in a catering quotation. The total amount equivalent to all the orders summed up should be accurately provided. It is in this sense that catering quotations are generally considered credible sources for both customers and catering service providers to refer to. Introduction – A good way to start your letter is to provide for a brief overview of the catering services that your business offers. Summarize everything in this part of your letter to gradually engage your prospective customers. 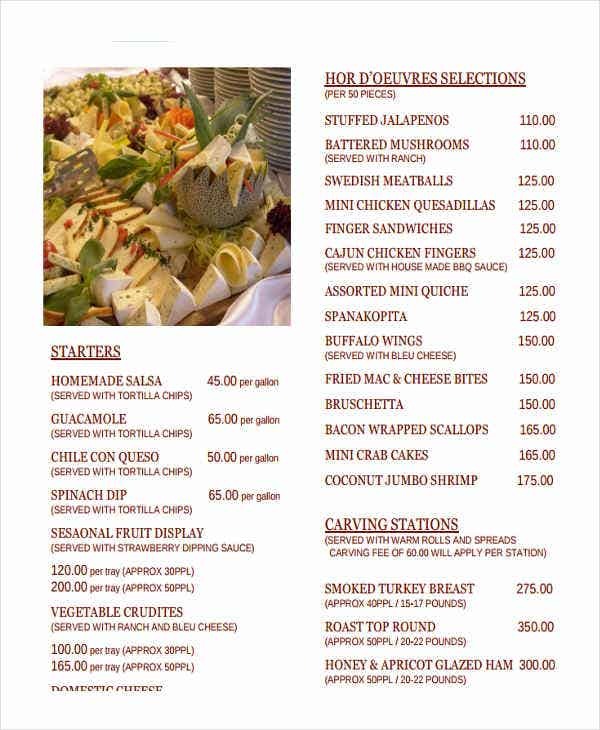 Menu Items – Proceed with being able to itemize everything in the menu that your catering service offers. 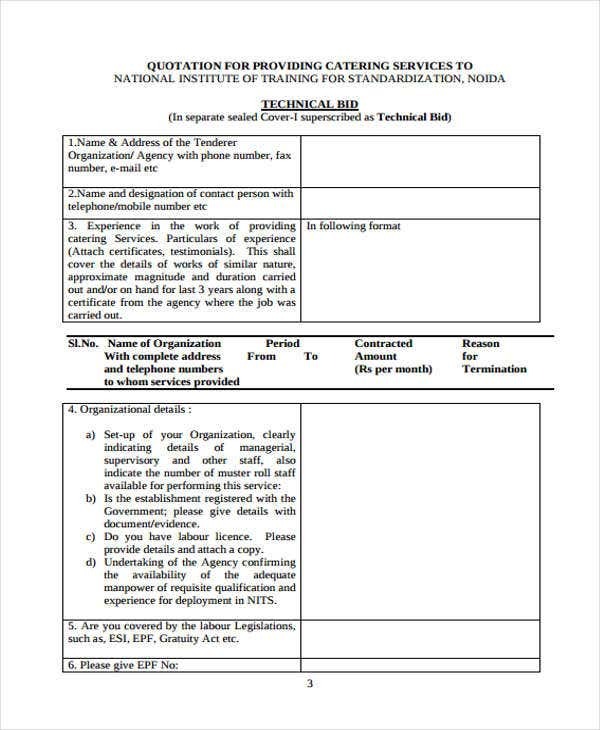 Write in a professional at the same time convincing manner. 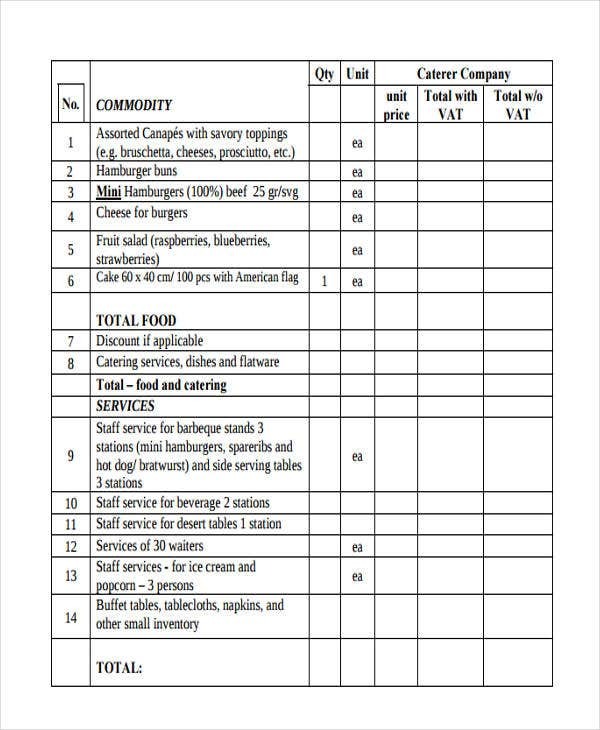 It would also be easier if you could attach a neatly filled price quote template for your menu items in your catering proposal letter. Menu Charges – At this point, you should be able to incorporate the menu charges for every menu item that you have provided in your catering proposal letter. Total Quote – Everything that needs to be charged should already have a corresponding price that’s easy for prospective customers to refer to. In the event that everything is amenable to the customer, he or she may look for the total quote to see if the catering service is worth a budget preparing for. A caterer should be familiar with all these steps since the easiest way to reach a prospective customer is to prepare a well-written and presentable catering proposal letter.